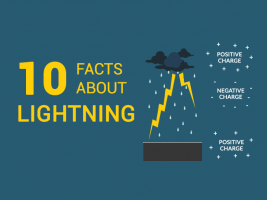 Lightning is hotter than the sun, it strikes 8.6 million times a day and more lightning facts. Because when there’s thunder, there’s sure to be lightning. 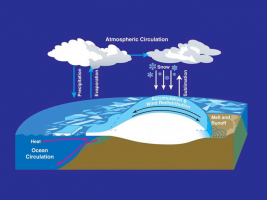 Climate feedback loops either amplify or reduce climate change. Positive feedback loops like permafrost melt amplifies climate change because it releases methane. The Earth breathes. 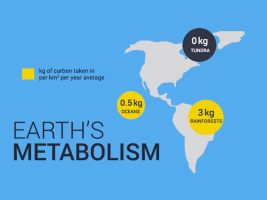 We gauge Earth metabolism by how much carbon dioxide plants absorb out of the atmosphere minus how much is given off during respiration. 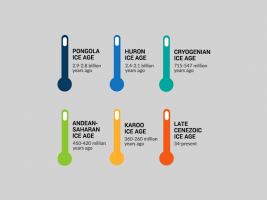 Earth has experienced 5 large ice ages. During these frigid times, hefty layers of ice smothered the planet with temperatures 10°C lower than it is today. Earth revolves around the sun in a roughly circular orbit. 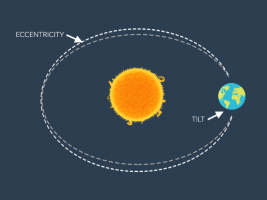 But about every 200,000 years, its orbit becomes more eccentric because of the Milankovitch Cycle. 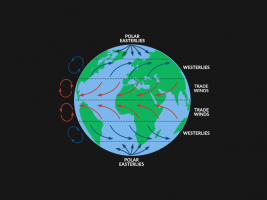 Because greenhouse gases trap heat in the atmosphere, this helps regulate temperature on Earth. 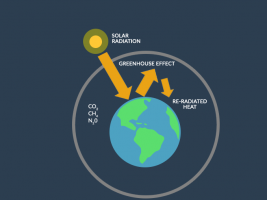 Without the greenhouse effect, we’d live in an icebox. The Coriolis effect is the deflection of air due to Earth’s rotation. Air veers to the right in the northern hemisphere. And vice versa south of the equator. 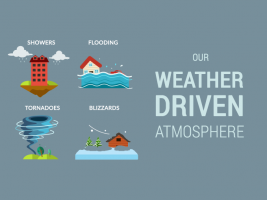 Weather patterns have tremendous impacts on people and ecosystems on Earth. Let’s get started with this list of 10 unbelievable climate and weather facts. 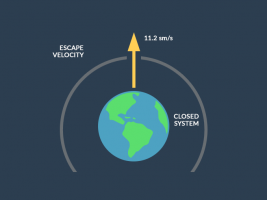 The escape velocity of Earth (11.186 km/s) is the speed at which a free object must travel to escape into space from the planet’s gravitational pull. There wasn’t always a breath of fresh air on Earth. 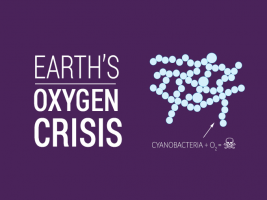 Long ago, cyanobacteria thrived in oceans producing oxygen. But this started an oxygen crisis to survive. 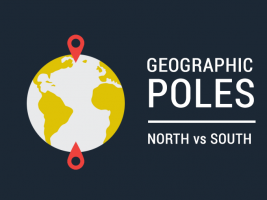 If you stick a pencil through Earth at the point of rotation, these 2 points are the north/south poles. Geographically, it’s where longitude lines converge. 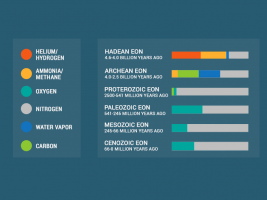 In Earth’s atmosphere history, oxygen levels have changed significantly. This includes hydrogen, helium, carbon dioxide and nitrogen composition in the air. 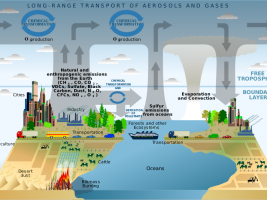 Whether it’s agriculture, industry, vehicles, electricity or natural disasters, these are the major air pollution sources that contribute to climate change. Over 4 billion years ago, Earth’s atmosphere was mostly methane & nitrogen. 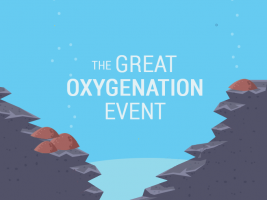 The Great Oxygenation Event marks a time when free oxygen filled the atmosphere. 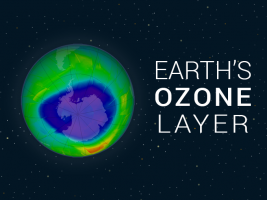 What makes Earth unique is its ozone layer. Ozone is a colorless gas made up of three oxygen atoms which protects us from harmful UV radiation from the sun.